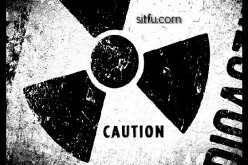 The latest joint US and Japan survey shows extremely high levels of nuclear radioactive contamination, with radiation levels higher than Chernobyl evacuation limits now spanning over 800 square kilometers in Japan. Meanwhile, US Media outlets continue to ignore the situation instead opting to run stories with the dishonest theme that this situation is under control. The total area contaminated with radiation from the Fukushima No. 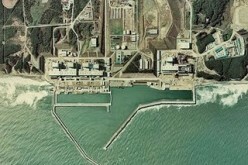 1 nuclear power plant is estimated at about 800 square kilometers, or about 40 percent the size of Tokyo, according to a radiation map created by the science ministry and U.S. Department of Energy. The report’s radiation levels were determined in April by measuring, from about 150-700 meters above ground, levels of accumulated radiation on the ground. The areas measured were divided into 1- to 2-square-kilometer zones. 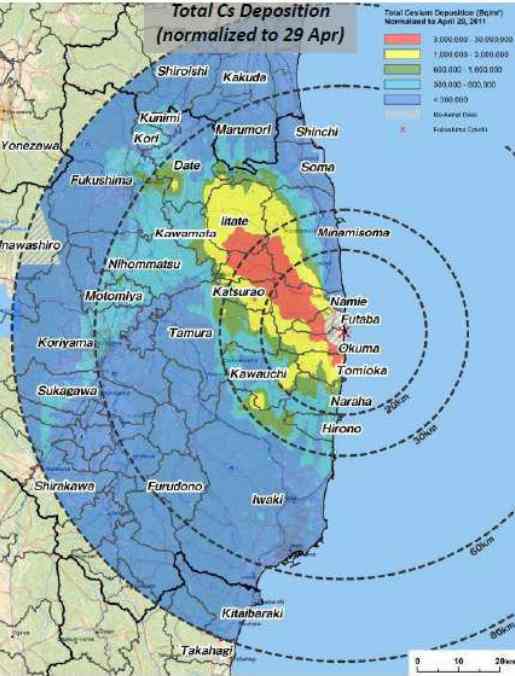 According to the map, about 800 square kilometers are contaminated with accumulated cesium-137 of 600,000 becquerels or higher per square meter. The substance has a half-life of about 30 years. About 370,000 to 630,000 terabecquerels of radioactive substances are estimated to have been released by the crippled plant, according to a report by the Nuclear and Industrial Safety Agency and the Nuclear Safety Commission of Japan. 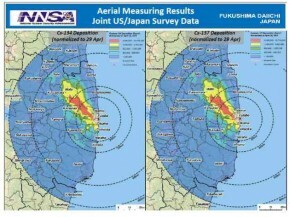 The article above references data taken from a joint aerial survey conducted by Japan and the US Department of Energy. Late afternoon on Monday, March 14, 2011, the Department of Energy and the National Nuclear Security Administration deployed 33 people and more than 17,200 pounds of equipment – including Consequence Management Response Teams and NNSA Aerial Measuring Systems – to Japan in response to the recent earthquake and tsunami. This video illustrates how the team managing the Aerial Measuring Systems accomplish their mission. It comes from a training mission in Nevada — it is not footage from Japan. 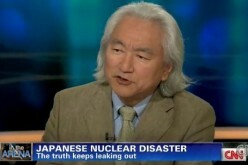 From the Department of Energy Blog. 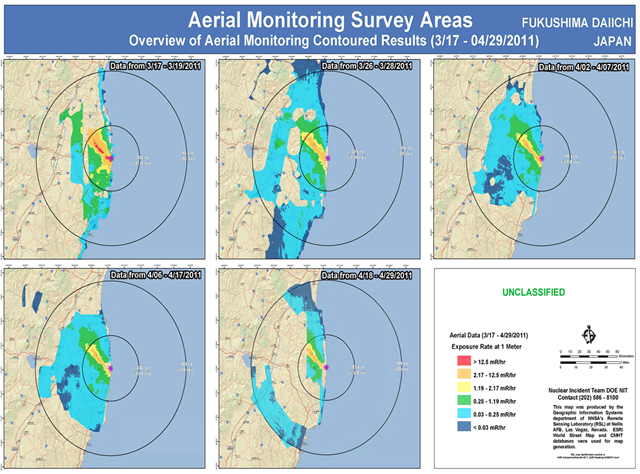 In March, the U.S. Department of Energy released data recorded from its Aerial Measuring System as well as ground detectors deployed along with its Consequence Management Response Teams. Today, the Department provided the following update on the information gathered by the AMS. 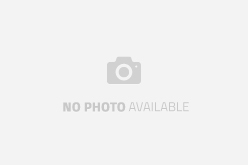 This is the second round of data that was collected and analyzed jointly with the Government of Japan’s Ministry of Education, Culture, Sports, Science and Technology (MEXT). For a link to the joint monitoring data posted on May 6, visit the MEXT webpage.